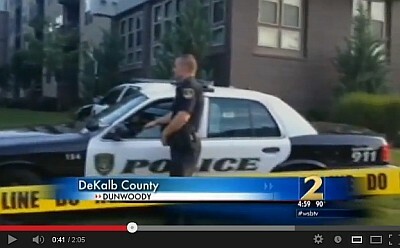 Dunwoody items of interest - crime, politicians, actors, race relations, paving, alarms, zoning and other news. Eight qualify for 3 Dunwoody seats, vote early, vote often! The election season has officially begun! We look forward to hearing from all 8 qualified candidates for city council. And remember you only get to vote for the candidate who live in and represents your district. 40th Season of Stage Door Players - starts in a couple of weeks - get a season subscription to support the arts. Dunwoody Police have arrested Roman Melnik, 23, for an alleged sexual assault and battery on Barclay Drive, near N. Peachtree Road, on Aug. 25. Melnik has been charged with Kidnapping, Sexual Battery and Simple Battery, according to police. The City of Dunwoody proactively spent its summer paving neighborhood streets and building sidewalks at a record pace. From June to mid-August, city crews paved and resurfaced more than 19 lane miles of neighborhood streets and city roads and constructed 4,000 feet of city sidewalks, completing all of the paving prior to the start of the school year in DeKalb County. Have you registered your alarm? Council sets Tue Sept 17th aside to discuss zoning. City Council to review proposed zoning ordinance on September 17th at 6 pm. Kingswood KidStuff and More Consignment Sale of September 19 - 21 is now looking for Sellers. The Kingswood UMC KidStuff Consignment Sale features children's fall and winter clothing, toys, books, baby equipment, and much more from over 200 sellers! All proceeds support Kingswood UMC's missions. Great bargains on everything for kids! Fall and winter clothing, toys, books, games, baby equipment, and MORE! Sellers earn 2/3 of the selling price on items that sell. Items selling at $50 or higher earn 10% more! Seller registration fee is only $5, and is deducted from your proceeds – nothing to pay up front. Sellers who volunteer earn an extra 10%!! Seller registration deadline is 5:00 p.m. on Friday, September 13, 2013. Volunteers can shop our presale on *Thursday, September 19, 3 pm – 5 pm* for the best selection! Sellers who volunteer earn an *extra 10%* on their sales! Free childcare is provided for volunteers on Thursday, 4 pm – 8 pm, and on Saturday, 1 pm – 5 pm! Don’t have anything to sell, come & shop the many wonderful bargains in store! 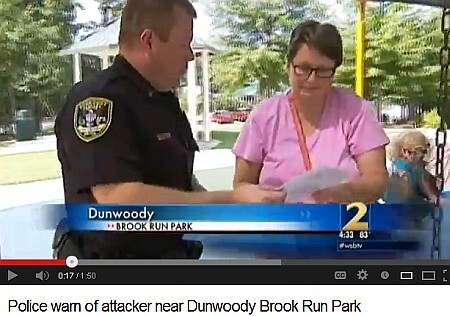 Police warn of attacker near Dunwoody Brook Run Park. 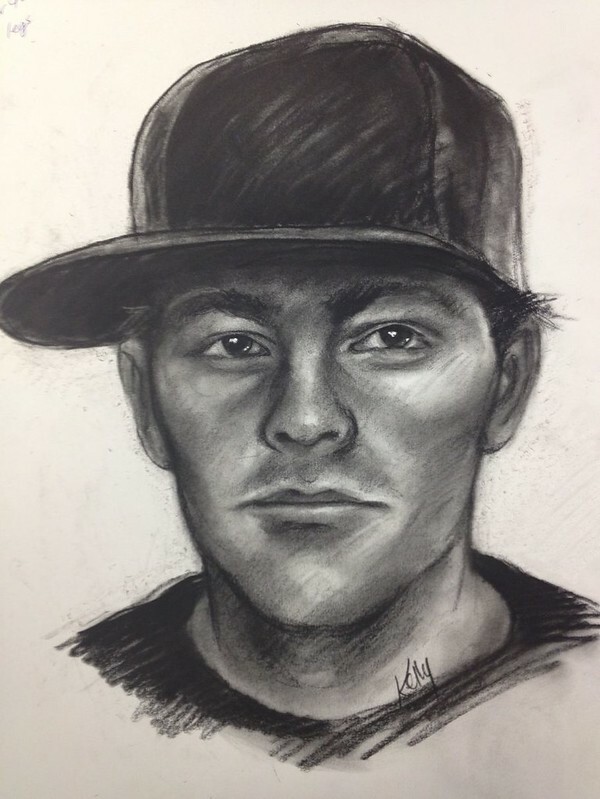 Dunwoody police are investigating after a woman reported being sexually assaulted Sunday afternoon. The woman was attacked from behind while she was walking on Barclay Drive near North Peachtree Road around 5:30 p.m., police said. 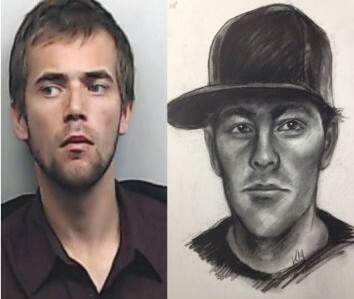 The suspect, described as a white male in his late 20s to early 30s, is 5-foot-5 to 5-8 and weighs 170 to 180 pounds. Police said he may have cuts on his face that were inflicted during the assault. Anyone with information on the case should contact Detective Robert Bentivegna at 678-382-6911 or robert.bentivegna@dunwoodyga.gov. 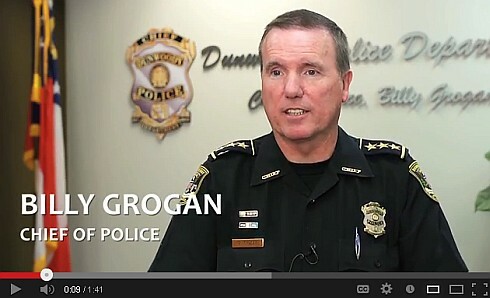 Tips can be submitted anonymously at www.dunwoodypolice.com or via text message to C-R-I-M-E-S (274-637) with the keyword DPDTIPS at the start of the message. 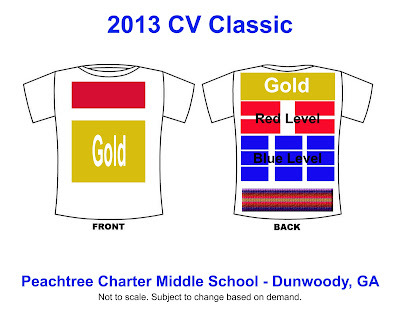 Peachtree CV Classic 5K Run and 1 Mile Run/Walk registration available & deadline for sponsorships approching. We will have dri-fit shirts this year!!! Location: Both courses will start and end on the PCMS track. Parking at the school will be limited. Chesnut Elementary is next door for additional parking. Number pick-up: Thursday, Oct. 3rd from 4-6pm and Friday, Oct. 4th from 10-2pm in the PCMS gym. You may also pick up your number on race day beginning at 7:00am. 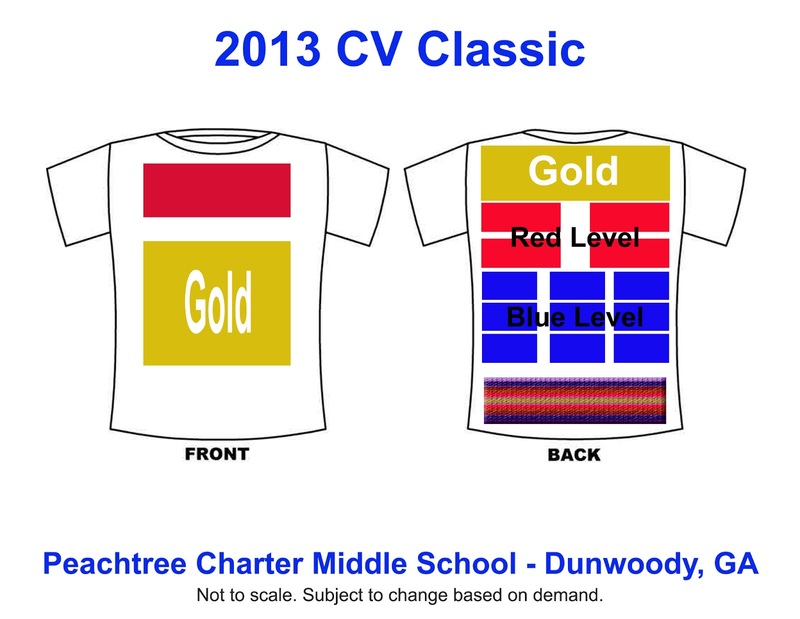 The CV Classic, a 5K road race and 1 mile fun run for Peachtree Charter Middle School, is now accepting sponsors from local businesses. Sponsorships range from $100 to $3000 (proceeds go toward new and improved amenities for the outdoor recreation area at Dunwoody's middle school). The new track at Peachtree is being installed now and funds are still needed for other amenities at the track area behind the school. Join other local businesses in this effort. Sponsors get their name/logo on the event T-shirt (worn often after the race by adults and youth of Dunwoody). Additional perks for sponsorship. Family Sponsorship = $100. You receive two race entries, two event shirts (very popular new Dry-Fit shirt Spirit Wear that can be worn to school) and your family name is printed on the back of the shirt! Click HERE for a Family Sponsor form. Deadline for having name on shirt is September 3rd. Business Sponsor - $100 to $3,000. You receive race entries, free event shirts, your name on the official event shirt, and you can place marketing material in the race bag. Send an email to dunwoodyparent@gmail.com to secure your spot now. Deadline for Business Sponsors is September 3rd. 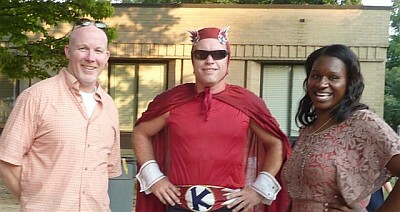 Kingsley Charter Elementary School welcomes a new principal this year, Mr. Brent McBride. Before joining Kingsley, Mr. McBride served six years at Heards Ferry Elementary school in Fulton County; first as assistant principal and then as principal. Before Heards Ferry, Mr. McBride was an Instructional Technology Specialist in Forsyth County and a classroom teacher in Bibb County. One of McBride’s first goals for Kingsley Charter School is to increase Kingsley’s CCRPI score. The CCRPI, which stands for “Career and College Ready Performance Index”, is a comprehensive measure of a school’s success. Mr. McBride plans to continue Kingsley’s focus on increasing rigor and challenge in the classroom, to better prepare students for life-long success. His goal is to create a student-friendly learning environment where active student engagement is seen throughout the school. By offering unique learning opportunities, Kingsley is creating a well-rounded elementary experience for all children. To kick-off the school year, Mr. McBride is holding his first “Principal’s Coffee” for the community. The “Principal’s Coffee” will be held at Kingsley Charter School on September 11th, between 9:00 to 10:00 am. There will be an alternate session on September 24th, from 6:00 to 7:00 pm, for community members who cannot attend the September 11th meeting. Please join us in welcoming Mr. Brent McBride to the Kingsley Charter School community. Kingsley Charter School, located in northeast Dunwoody, serves approximately 600 elementary students in pre-kindergarten through fifth grade and is a feeder school for Peachtree Charter Middle School. As a conversion charter school, Kingsley benefits from strong parent involvement and flexibility in its curriculum. Kingsley is part of the DeKalb County School District. For more information see kingsleycharter.org. My video system malfunctioned so if you are interested, here is the city's link where it should be posted in a day or two. Everything up for a vote basically passed as presented but the City was given "guidance" that the extended center turn lane on Mt. Vernon is not acceptable. Turn lanes are OK where needed, with accompanying sidewalks and bike lanes also being approved for design work, - center lane is not acceptable and we don't even want to see drawings of it. Guthrie's has closed in Dunwoody (Georgetown) with Starbucks being a possible replacement? 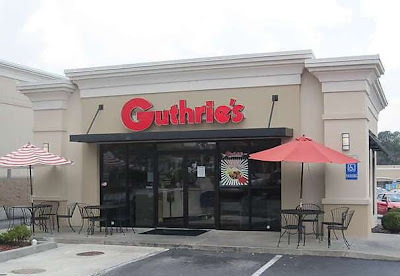 It breaks my heart to see Guthrie's go, not because of the great chicken but because of the dedication this establishment has shown the Dunwoody community. It was partially owned and operated by a friend of mine who has lived in the community her whole life and she gladly gave back by sponsoring many sports teams and schools with Peachtree Middle being her favorite. Inside sources say that Starbucks has the first right of refusal on the space. While they already have an inline location within the center, the freestanding location would provide them the opportunity to offer drive-thru service. Earlier this year, Starbucks announced that 60 percent of the 1,500 new stateside locations planned to open through the next five years will have drive-thru windows. This "new" location would obviously be in line with that goal and allow for the coffee house to capitalize on a previously untapped opportunity in the center. 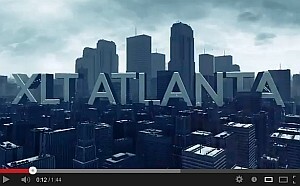 Check out Tomorrow's News Today - Atlanta who broke the story for more details and insightful comments. XLT Atlanta is a once a month gathering for the catholic teens of the diocese of Atlanta. Every XLT has powerful and inspiring talks and prayerful Eucharistic adoration accompanied by incredible music. Studio ONE a brand new film studio built at All Saints Catholic Church to serve the youth of Atlanta and broadcast to the worldwide web. Having XLT Atlanta at Studio ONE allows us to film the night and put it on the web for everyone to witness. Matt Maher, Audrey Assad and Greg&Lizzy in Concert. Open to all ages, so bring your families! Shorty after becoming a husband and wife duo in 2012, musicians Greg and Lizzy Boudreaux very naturally became the musical duo “Greg&Lizzy.” Though new to performing as a duo, these two artists have been sharing their hearts as worship leaders across the US and internationally for years. With a collection of brand new original songs inspired by their own honest experiences of relationship, love, and marriage, Greg&Lizzy offers a look into some of the greatest joys and deepest trials of loving another faithfully. Their much-anticipated first album “To the Dust” is due to release early Fall 2013. Dunwoody City Councilman Denny Shortal announces reelection bid in Dunwoody Update to community. 10. Election ... After much thought and talking with my Family I have decided to seek re-election as your City Council Representative from District One, Post-1. I have appreciated your support over the past five years and seek your continued support moving forward. Much more on that later. I dropped HR 486, state constitutional amendment, last session. It was pretty well received. You have a lot of career entrenched educrats. The last thing they care about is students. I was disappointed that they Governor removed the DeKalb Schools board. Out of 23 members of the DeKalb Delegation, only 6 of us stood with them and supported them. Which means the other folks were satisfied with the status quo, which was failing. That’s unacceptable. I’m swinging for the fences with HR 486. In 1983, the constitution was amended to not allow any more school systems. I don’t think the contemplated school systems this size. 1 in 10 students in Georgia is in a Gwinnett County school, 168,000 kids. 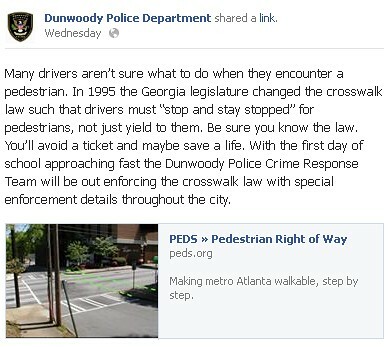 Dunwoody is doing well, but the system is failing. It affects property values and companies are reluctant to locate here. There are some counties with school systems with less than 500 students K – 12. What HR 486 does is allow cities that have been incorporated recently to form either stand alone city school or a combo cluster city school that can cross county lines. 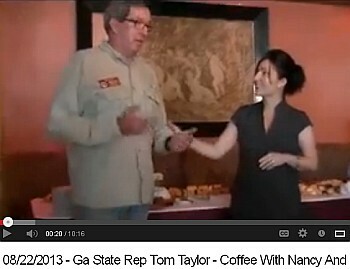 There is a lot of support from the power players in metro Atlanta. It’s a high bar. A constitutional amendment requires 120 votes in the house and 2/3 majority in the senate. The Republican Party has a super majority in the senate and we are only one seat shy in the house but that does not translate to an ultimate passage as this will need to be a bipartisan effort to be successful. My theory is, if you can’t join ‘em, beat ‘em. In many counties, the largest employer in town is the school system and they loath to shake things up. Have 200 people from Dunwoody in the hearings is a lot different than 1 or 2 people from Dunwoody and a bunch of lobbyists. Moms standing up demanding for change is a powerful thing. Dunwoody City Council candidates need to register this week. 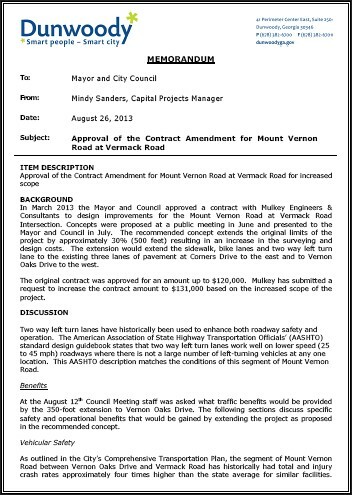 Approval of the Contract Amendment for Mount Vernon Road at Vermack Road. Presentation of CVBD Mid-Year Financial Report. Approval of Contract Amendment for Georgetown Park. Dunwoody City Council to vote on the Mt. Vernon extended center turn lane on Monday Night. Is Dunwoody ready for and want a center turn lane down all Mt. Vernon from Chamblee Dunwoody to Jett Ferry? The Dunwoody City Council has reviewed plans for Mt. 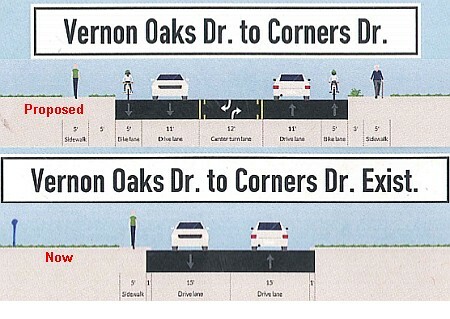 Vernon and Vermack looking for the best solution to improve that intersection and in doing so had an option to extend the center turn lane to the West to Vernon Oaks. As this improvement was part of the long term transportation plan, recommended by staff and as there were little objections from the neighbors or community, the Council approved the measure to design that possible layout. Affected members of the community are now raising questions, the main one being "Is the Dunwoody Community aware that by Council adding the additional couple hundred feet of paving, it is possibly setting the long term policy of installing of a center lane down all Mt. Vernon from Chamblee Dunwoody to Jett Ferry". Is this what Dunwoody really wants and needs? With issues now being raised and numerous meetings taking place between Council, Staff and the affected Community Members, it is my belief that this project may need a reaffirmation or wider vetting to the Community that the Center turn lane down all of Mt. Vernon is truly the preferred look and feel of our main thoroughfare vs just left land turn lanes installed where specifically needed? The plans currently being drawn up can also be revised to cut back the added turn lane yet could still include the sidewalks and bike lane spacing as construction plans have not yet been contemplated. The residents directly affected by this first Mt. Vernon road widening understand the need for improvement to the intersection and could accept the proposed plan if they knew that this is what the community really wanted, but if for some reason their section of road is widened (front yards and buffers reduced) but later no one else's is, than they would have paid the price that no one else would be willing to pay. On behalf of these several residents, a wider community discussion should be had reaffirming the long term direction of where we intend to go. Please discuss among yourselves, with your neighbors and with the Mayor & members of the City Council as I want to make sure that that this item is fully vetted well in advance of any next vote. We are pleased to announce the return of everyone's favorite day in Dunwoody Park as the Butterfly festival makes its return this year on Saturday, August 17th. Because of the popularity of last year’s festival, this year’s event will feature TWICE as many butterflies with TWO enormous tents - each filled with hundreds of live butterflies. Mark your calendars for a day of great activities including a live butterfly release, a Birds of Prey show, live animal encounters, games, educational booths, crafts, music, food and drinks. Early member preview begins at 9:00 with general admission at 10:00. Click on the side links for a complete schedule of events, festival map, and more information from throughout the day. Admissions the day of the festival are $10 for adults, $5 for kids ages 4-12 and free for children 3 and under. Pre-purchasing tickets is the only way to guarantee entrée to the butterfly tents at a time that is convenient for you. AND, you'll save money in the process - pre-purchase tickets are only $8 for adults and $4 for kids. Get your reserved entry time with pre-purchased tickets HERE. Directions & Parking, Entertainment Schedule, 2013 Festival Map, Sponsors. 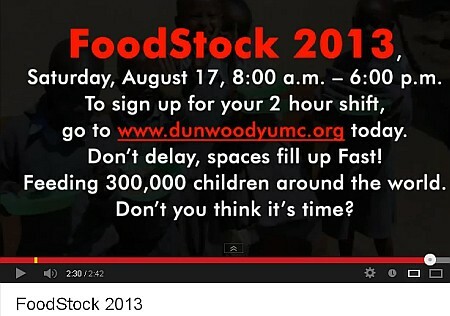 August 17 we are kicking off the Fall with FOODSTOCK 2013 by putting together at least 300,000 meals for Stop Hunger Now. Can you imagine what a boost this will be for the fight against hunger? The goal is to involve the entire community to experience the joy and the fun of working together for a great cause. We also need support during the event so if you dont feel like you can stand at a table and make food packs we will have other support jobs for you to do. Last year my family and I participated and it was a great experience for even the smallest helper, so please consider donating just two hours. SIGN ME UP FOR THE 180° LASERTAG and/or FOODSTOCK SETUP SHIFT! SIGN ME UP FOR THE 8 - 10 A.M. SHIFT! 10 A.M. - 12 NOON SHIFT FULL! SIGN ME UP FOR THE 12 NOON - 2 P.M. SHIFT! SIGN ME UP FOR THE 2 - 4 P.M. SHIFT! SIGN ME UP FOR THE 4 - 6 P.M. SHIFT! SIGN ME UP TO SUPPORT FOR A SHIFT! 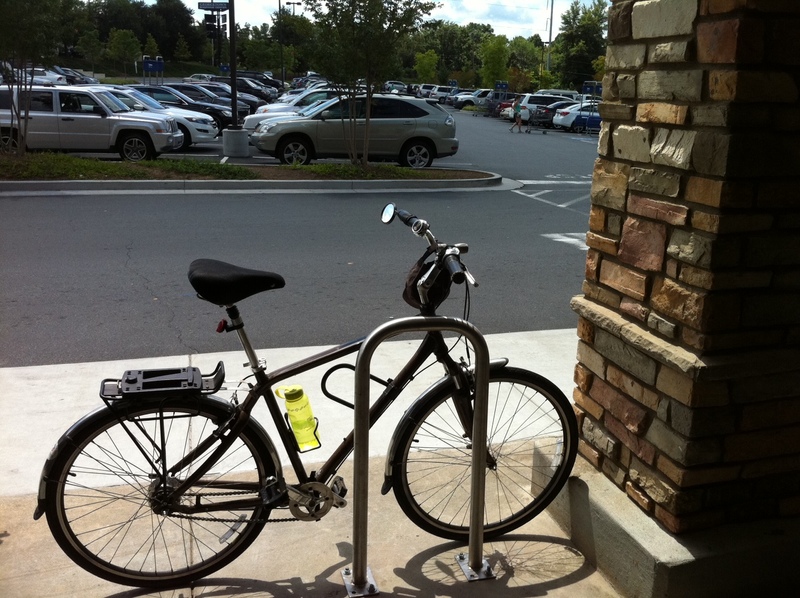 Free bike racks available for any Dunwoody public location. 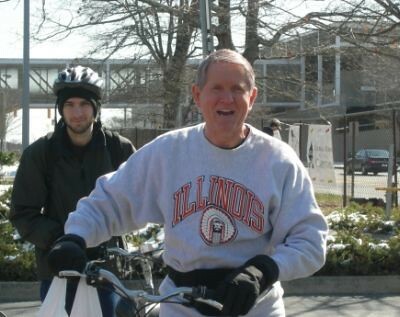 As many of you have noticed, Dunwoody is slowly becoming more bicycle- friendly. Mitch Garber (a.k.a. Bike Guy) has been working to put bicycle racks in appropriate locations throughout the city for several years. 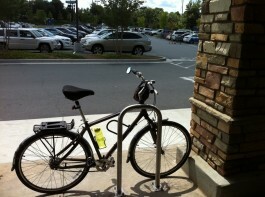 You may have noticed racks sponsored by the Dunwoody Preservation Trust (www.dunwoodypreservationtrust.org) and installed by the Atlanta Bicycle Coalition (www.atlantabike.org/) that have appeared in Georgetown Shopping Center and Dunwoody Village (the picture is of the one at the recently renovated Kroger in Georgetown Shopping Center). Mitch is hoping to continue installations of the racks in various locations, but needs your help – if you are or know of someone who has a location that would be good for such a rack (they take up minimal space, and are stainless steel, thus virtually maintenance-free), he would like you to contact him at garberm2@bellsouth.net. The installations and racks have been at no cost to the installation location, but will require a signature from the property owner or manager. Good update on Economic Development but what was eye opening was the number of future housing units approved on the books by DeKalb prior to Incorporation. Most large scale projects were zoned with both office, hotel, condo and rental, and then never built. The allowances to build these structures are still in place and the city will attempt to do what is right for the community to see that the correct mix is built in the future but push come to shove - they have the allowances that we can not mandatory change the zoning entitlements because we want too. 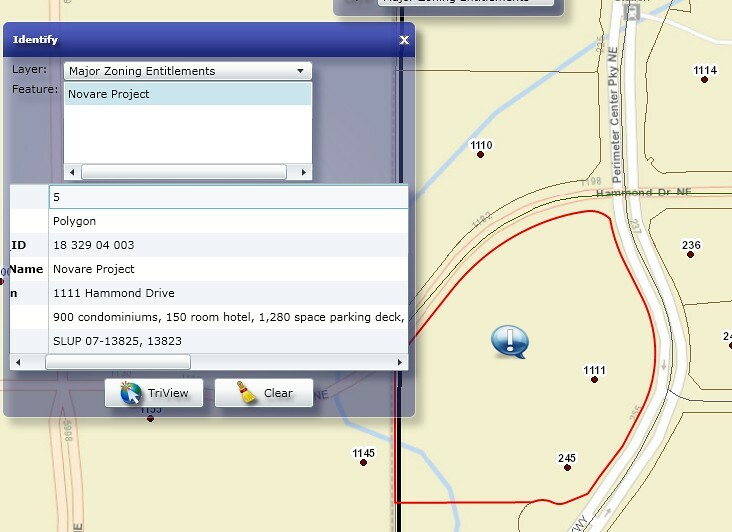 To see of the zoning allowances, click here which is the Dunwoody GIS system and then accept. 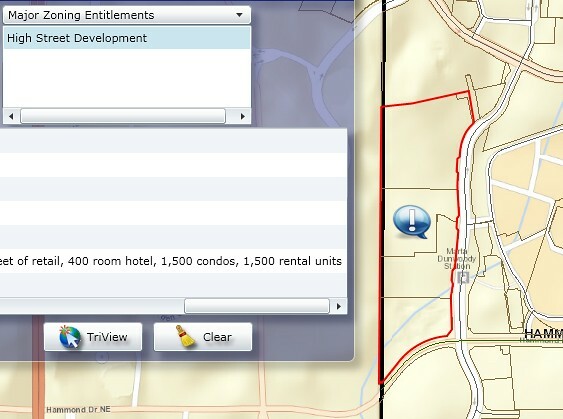 Click Active Layer and drop down to Major Zoning Entitlements then click Tools and drop down to Identity. Now click on the locations in the city where you think major developement coould happen, mostly around the mall..
Future High Street project located directly across the street from the Dunwoody Marta stop is allowed a bunch or retail, 400 hotel rooms, 1,500 condos and 1,500 rental units. Future Novare project located kiddy corner across the street from the Dunwoody Marta stop is allowed a another 900 condos. Dunwoody High has produced some great talent through the years, including Ryan Seacrest, The Black Lips, Caitlin Gutierrez and now introducing Calvin Kennedy a Dunwoody High rapper who goes by the name Young PK. I have followed Calvin for a number of years (through twitter and YouTube) and know that he has been performing in the Atlanta Music scene for some time and just last month he rocked the Masquerade. 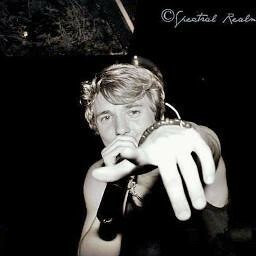 Watch out Eminem as Young PK just released his first album and it is now available on itunes. Dunwoody please drive carefully - DeKalb Students return and GPC Registration begins. DeKalb Elementary Students will be arriving at schools by 7:30 a.m., Peachtree Charter will have peek time about 8:30 and Dunwoody High will be about 7:45. The first week is always hectic, traffic is heavy and it takes some time for the routine of the school year to settle in. Georgia Perimeter College has registration starting this Wednesday (August 14th) at 9 a.m. with the first day of the Fall semester scheduled for Monday August 19th. Please extra kind behind the wheel these next two weeks. Economic Development Program Implementation and Future Development Overview. Presentation of the YTD Financial Report for June 30, 2013. Discussion of Emergency Notification Systems. FIRST READ: Ordinance to Amend Chapter 25, Section 25-32: Possession, Use, or Consumption of Alcoholic Beverages. Discussion of City of Dunwoody City Code Chapters 27, Zoning, and 16, Land Development, and all Previous Amendments Thereto. FIRST READ: Annual Amendments to the International Property Maintenance Code. 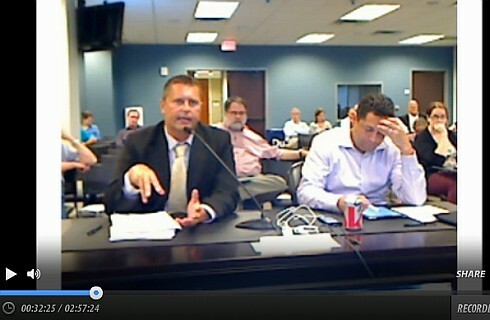 Discussion of the Contract Amendment for Georgetown Park Construction. Discussion of the Contract Amendment for Mount Vernon Road at Vermack Road. Discussion of Appointment of Members to Serve on Dunwoody Board of Ethics. Discussion of Appointment of Members to Serve on Dunwoody Alcohol License Review Board. Discussion of Appointment of Member to Serve on Convention & Visitors Bureau of Dunwoody. Discussion of Appointment of Members to Serve on Dunwoody Construction Board of Appeals. THE LEKOTEK RUN 4 KIDS - Saturday, August 17th at Dunwoody campus of Georgia Perimeter College. For the past 30 years, Lekotek of Georgia has quietly gone about the business of helping children with disabilities and their families. Lekotek facilitates the inclusion of children with disabilities into their families and communities by loaning adapted toys, educational materials, computers and even iPads. These tools equalize the playing field making it possible for children with special needs to play and learn with siblings and peers. Computers and iPads are outfitted with appropriate software and applications to meet every child’s individual needs – whether the child has a visual or hearing impairment, autism, Down syndrome, cerebral palsy, genetic disorder or any special need. The Lekotek Run 4 Kids is gearing up for its 21st year. Its goal is to raise money for the nonprofit so additional children can benefit. The event will take place Saturday, August 17th. Both the start and finish are at the Dunwoody campus of Georgia Perimeter College. The event courses provide options for every fitness level – a four-mile road race and walk and one-mile fun run. The four mile begins at 8AM and the one mile at 9:00 AM. In addition to pre-race registration, runners can also sign up the morning of the event, beginning at 7 AM. 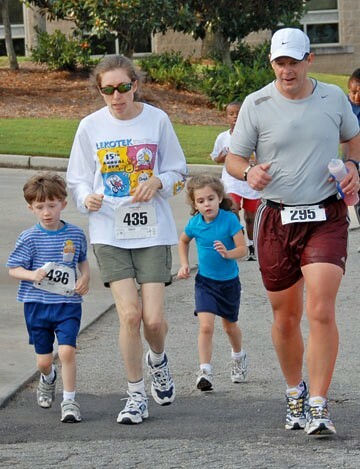 The race is well organized, runner friendly, with refreshments and family activities following the run. You don’t have to an athlete to participate, just someone who wants to make a difference! Dunwoody Trail at Brook Run was a big hit with the kids - young and old alike. 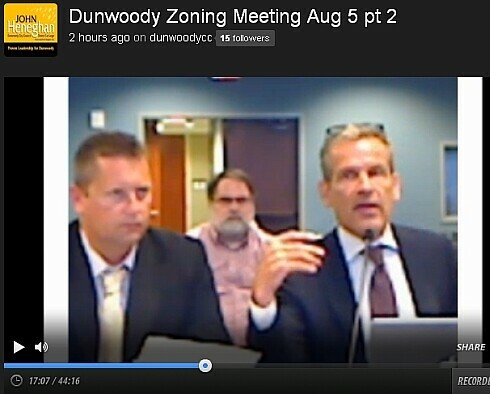 Special Called Zoning Rewrite Meeting of the Dunwoody City Council - Videos and Recap. The Dunwoody City Council met for 3 and a half hours for the first read of the zoning rewrite and we only got partially through the task. We covered primarily the Staff Memo which highlights the recommendations presented by both the Community Council & Planning Commission. I was too busy flipping through various documents and questioning the various proposals as they were presented so I do not have detailed notes but here are a few of the highlights. The Tree Ordinance is only applicable for development (construction) when needing a permit therefore the proposed tree ordinance does not affect the individual homeowner who just wants to remove a tree. On the flip side it still allows an individual to clear his entire lot but it protects us from development who wants to clear the land without taking the trees into consideration. I believe it was the will of council (no actual votes were taken) to limit Concurrent Variances but to use them as presented under the large scale "Planned Development" projects which would be mixed use and include a housing aspect. There was an interesting item as to what size of acreage is needed for a "Planned Development". If it was 10 acres there might be more of them as they would be easier to do but if the minimum requirement was 25 acres as originally presented then City Council would be deferring more items back to the ZBA (as most intend to do by limiting as the Concurrent Variances in the first place) because the threshold was set high. Discussion was has that the larger acreage requirement for the "Planned Development" might spur a higher quality development (Large Mall vs Strip Mall) but less of them. No definitive final answer was determined on that issue but I stated publicly that I wanted a larger area requirement over less as I believed this "Planned Development" zoning class should be very special and not the norm. The requirements for outside storage of boats and RV's will stay the same whereby you will need to be 20 feet away from your neighbors property line. I was looking for a middle of the road solution to include screening (8 foot fence) but there was little support for the topic. We had a Stream Buffer item that semi approved an allowance to rebuild the same construction (replacing the deck) up to the 50 ft stream buffer line without going back to ZBA but there is also a chance that this will be reverted back to the 75 ft mark allowing the ZBA more review, as we are still receiving public comment asking us to do so. Pet limitations (both in numbers and types) was a hot topic and city staff will be going back to the drawing board on that proposed ordinance with the direction to not ban any specific dog breeds. Icky snakes might be allowed too? Council asked staff to better define the problem caused by pets and then address the issue head on if needed at all. The Mayor set the time limit at the start of the meeting and we ran out of time before we got to discuss home occupations and our other misc items, therefore they will be discussed (at least partially) at next Monday's regularly scheduled meeting. I am stressing to council and staff that we need to take our time with this review and allow the various items to be fully vetted. Another Special Called meeting is probably in the works? A friend and neighbor who served on the Dunwoody Zoning Sounding Board told me that I made misleading statements in my blog post from yesterday where I touched upon some of the possible hot button issues in the zoning rewrite. In that post, I attempted to lay out the concerns as I saw them and as it was reported by others. In an attempt to equal out the conversation, I offer you the no spin, hype free version of the rewrite from a member of the Zoning Sounding Board who has spent many hours working on these documents. The newly-revised zoning ordinances are easy to read. Yet, so many have no idea what is in them. Or worse - they do know and continue to distribute misinformation about both the words and intent. Read more at the link above and please weigh on the items we discussed or will discuss as Council is listening. Thanks. 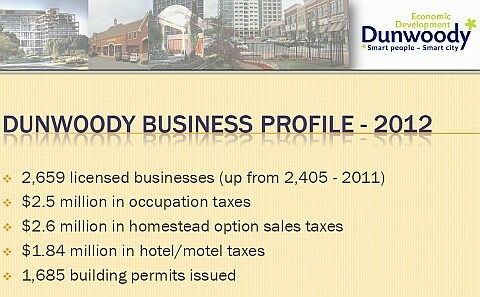 Is Dunwoody ready for legal home-based businesses? Preliminary City committees say Yes, Homeowners say No; City Council discusses it tonight and votes in several weeks. 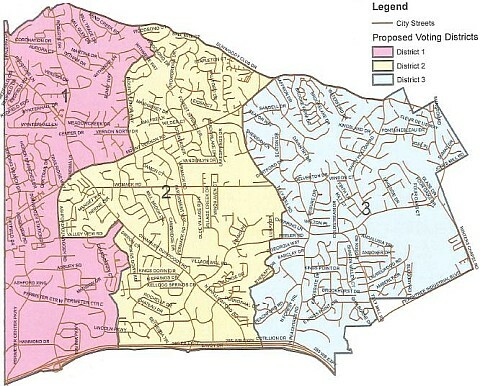 What is best for the Dunwoody community? 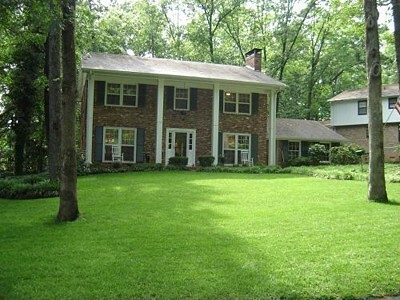 Is Dunwoody ready for legal home based businesses allowing customer contact? Piano teachers & tutors add intrinsic value to the residential community but others may not, therefore should we allow the process to move forward as presented or should we create special exemptions for a small class of special businesses? Should the City Council be allowed to have the ultimate power on all new large scale construction or would it be better to have more community involvement? Trees, how much regulation should there be for protection against of clear cutting or removal of large specimen trees or should the city code keep hands off your property rights in this area? If your neighbor can't see your boat parked on your property because of a fence, does it matter how close it is to your property line? What is the harm if someone has more than four fish or houses a pet snake, should code enforcement really be involved in such petty things that will never be enforced? Are "pit bulls" bad or are the trainers of the animal the real issue? Again, can the proposed zoning code be modified on the fly to "protect" the community from "undesirable" pets while not being overbearing? Three separate City committee's have reviewed these documents and made suggestions for the next step in the process which takes place tonight at the Special Called City Council meeting at 6pm. Last night I attended the Dunwoody Homeowners Association meeting and it looks by the news article below that they also have some reservations on the zoning proposals being presented. Do you? I have listened to previous hearings, attended meeting and read many emails but please feel free to voice your opinions on the proposed zoning code if you feel strongly one way or another on the proposed changes. The board of the Dunwoody Homeowners Association is opposing two controversial provisions in a proposed rewrite of the city’s zoning and building codes. Board members on Aug. 4 voted to oppose a proposal to allow the Dunwoody City Council to hear required zoning variances for a project as part of a rezoning package. The variances now are considered by the city Zoning Board of Appeals after the zoning is approved. The DHA board also sided against a proposal to allow operators of home-based businesses to bring customers to their homes without a Special Land Use Permit. Dunwoody city officials are considering an extensive revision of the city’s zoning and building codes. Dunwoody’s present codes were copied from DeKalb County when the city was creaed, city staff members say, and the rewrite is intended to make the codes reflect the needs and opinion of Dunwoody residents. Zoning Code Rewrite: More Absolute Power for the Council and Businesses in Your Backyard. The rights and protections of single family homes and our residential neighborhoods out weighs the right for a person to run a business with customer contact in those neighborhoods. The argument about property rights is misplaced as ZONING itself limits ones use of their private property. If you bought or live in a single family home, you have the RIGHT that the neighborhood will stay that way. The second issue involves a process called variances. Under the current code a landowner get a property rezoned by going through the public process, Community Council, Planning Commission and finally the City Council. Zoning changes what uses that you can develop on your property. Variance on the other hand, alters the development guidelines for the projects that are being designed and ultimately built on these sights. Currently the City Council rezones and the Board of Appeals grant any variance. Having to Boards, both with some level of judicial powers allows a project to be considered and reviewed by to separate commissions each following different criteria in their respective review. Without boring everyone, the new code will allow the city council to take over the power of the Board of Appeals. (See more in link above - Dunwoody Farmer Bob). No more than 3 household pets may be kept on any lot in a residential zoning district, except that on lots exceeding 2 acres in area, one additional household pet may be kept for each additional acre of lot area in excess of 2 acres, up to a maximum of 10 household pets. Litters of animals of not more than 6 months of age are not counted for the purpose of calculating the total number of household pets on a lot in a residential zoning district. Household pet means a domestic companion animal that is customarily kept for personal use and enjoyment including domestic dogs, domestic cats, canaries, parrots, parakeets, domestic tropical birds, hamsters and guinea pigs. Household pet does not include livestock, poultry, pot belly pigs, pit bulls, or snakes. 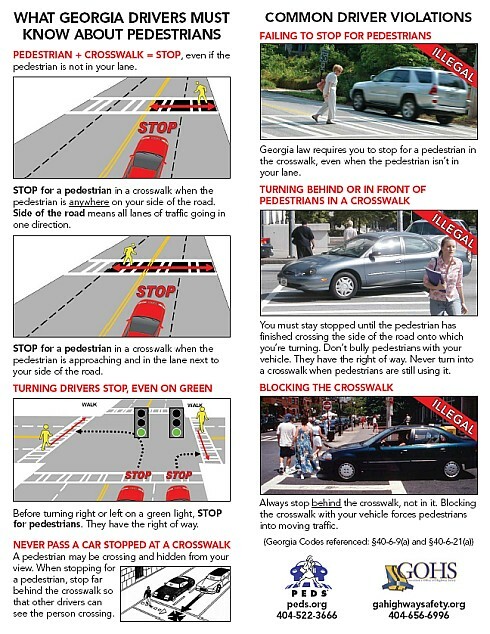 Pedestrian Safety is important to the Dunwoody Police Department, so please be warned and educated as enforcement is about to start with school starting soon. 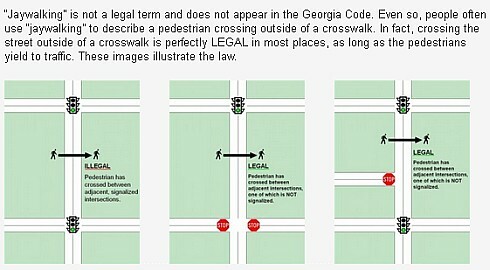 Jaywalk Laws and other technicalities. 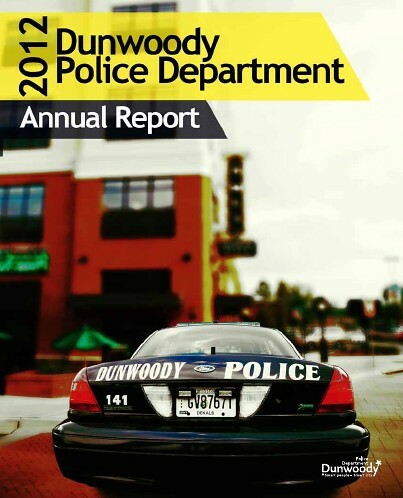 Dunwoody Homeowner Association meeting this Sunday to discuss public safety and rezoning rewrite. Sunday, August 4, 2013 @ 7:30 P.M.
2. Presentation by Timothy Fecht, Dunwoody PD on public safety including Neighborhood Watch, crime statistics and the CodeRed warning system.